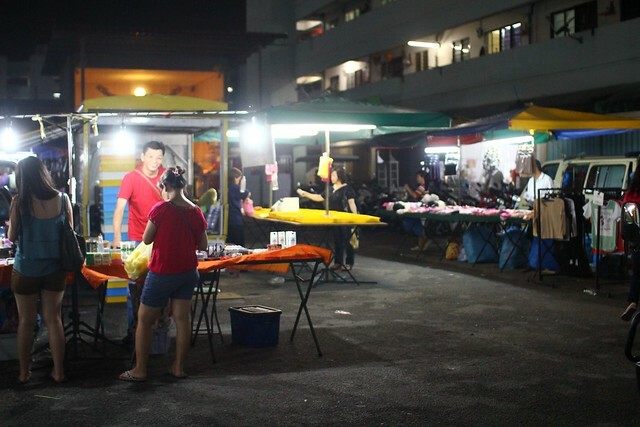 Monday Macallum Street Night Market (Pasar Malam) 五条路夜市 – Macallum Street, also known as 5th Road, or Gor Tiao Lor 五条路 has pasar malam on Monday night at the basketball area. 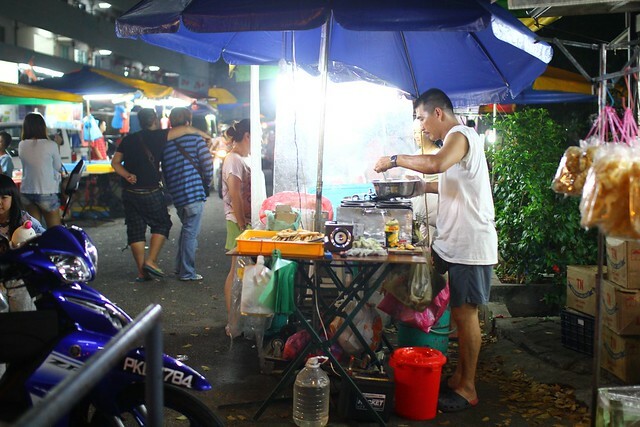 As usual, it’s not a fix night market and the vendors are on mobile, moving from place to place, like Tuesday to Tanjung Bungah, Wednesday to Farlim, Friday to Jelutong and Sunday to Paya Terubong. 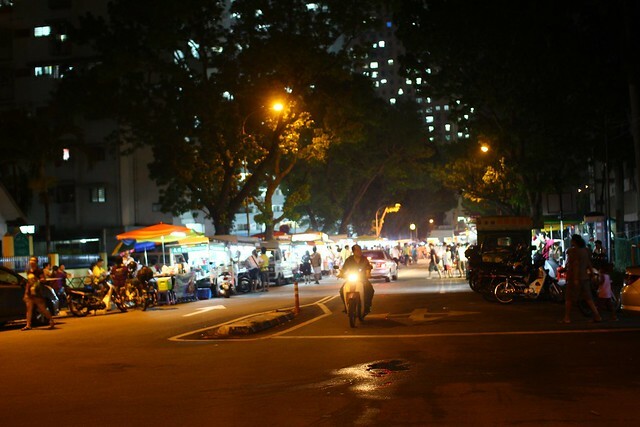 It’s no surprise that you can see the same vendors at different night market location on different night. 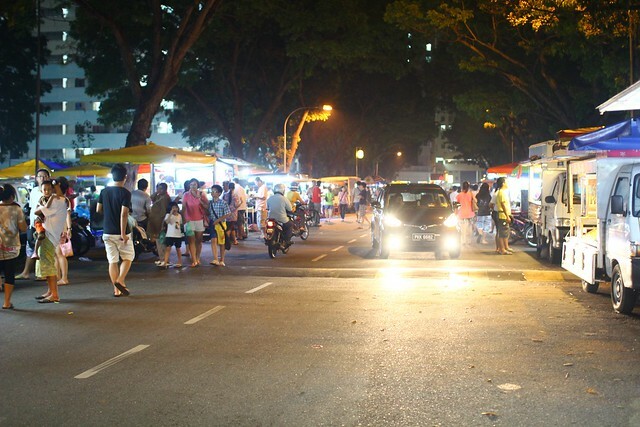 On Monday night, I went to check out the Macallum Street night market, it’s my first time visiting the night market there. Macallum Street is a high-density housing area with lots of low-cost flats in town, and I usually go there to eat tomyam noodle at Ruyi’s. 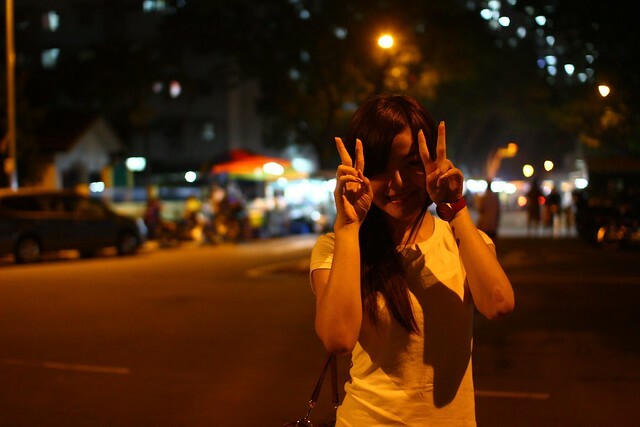 I parked my car by the roadside and then went to explore the night market with Hueisean. It was not a great night as the weather was like going to rain. Flashing can be seen in the sky, but there’s no rain. Maybe because of this, some vendors decided not to open business that night. 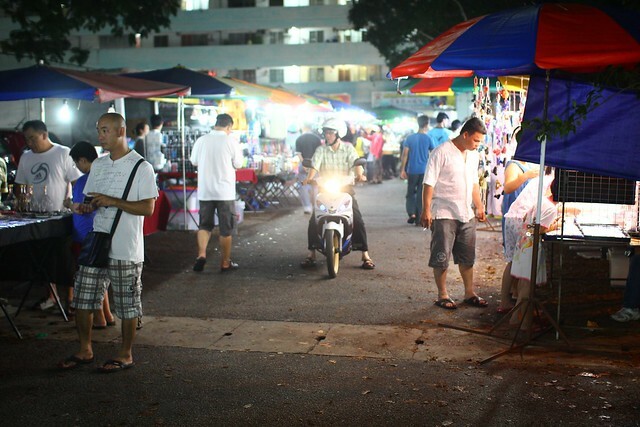 Same as other night market, you can find food, clothing, and some home accessories there. I did see many food, but not many clothing. 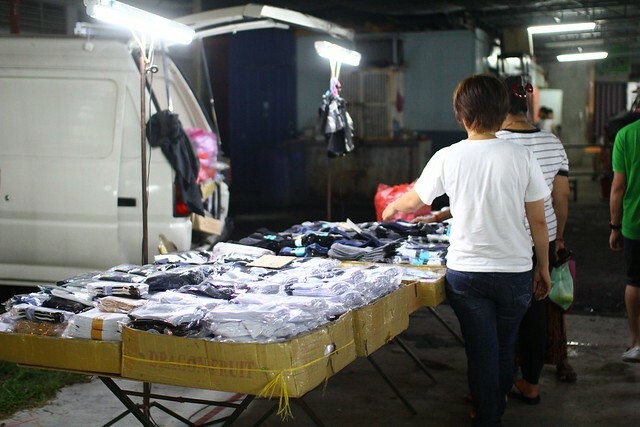 So far, the night market with the most clothing is Farlim’s, and food wise can check out Jelutong’s. 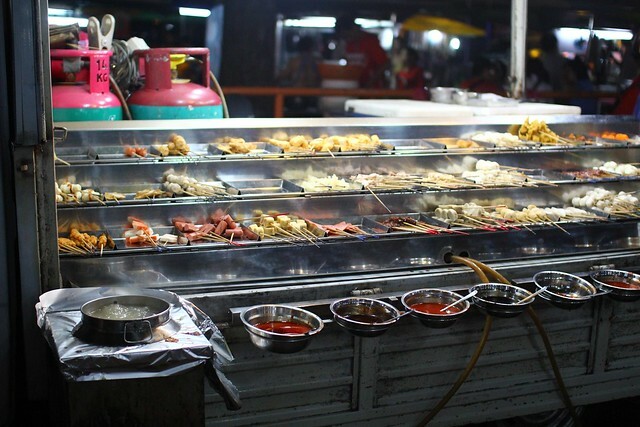 Overall, the best in Penang is still Farlim’s. Mobile vendors parked their vehicle and stalls by the roadside. Low-cost flat at Macallum Street.